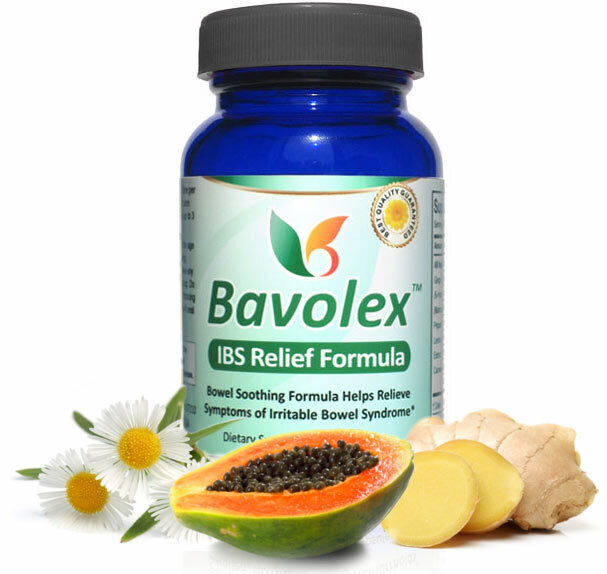 Bavolex is an herbal supplement formulated to help reduce IBS symptoms. * It contains extracts from fruits, plants, herbs and trees. Irritable bowel syndrome (IBS) is a functional disorder. It means that the bowel doesn't work as it should. IBS develops because the nerves and muscles in your intestines become extra sensitive and contract faster or slower than normal. This causes stomach pain, cramping, gas, sudden bouts of diarrhea, or constipation. Bavolex contains only natural non-toxic ingredients. Before taking it, however, consult your health care professional especially if you are taking any prescription medication or have a medical condition. Beware of supplements that are manufactured outside of USA. These cheap to produce supplement are not subject to U.S. manufacturing standards and regulations and may not be safe. If a product is cheap, it usually means it is poor quality. Bavolex is manufactured in FDA certified lab in United States that exceed the highest standards for quality control, safety and ingredient purity as defined by the cGMP (Good Manufacturing Practices) regulations. When Will I Receive My Bavolex Order? We ship from our Toledo, Ohio warehouse on the same business day if your order is received before 3:00PM EST. Otherwise, your order will be shipped out the next business day. We ship by USPS, FEDEX or UPS. If you need an urgent relief, we provide quick overnight delivery via FEDEX.